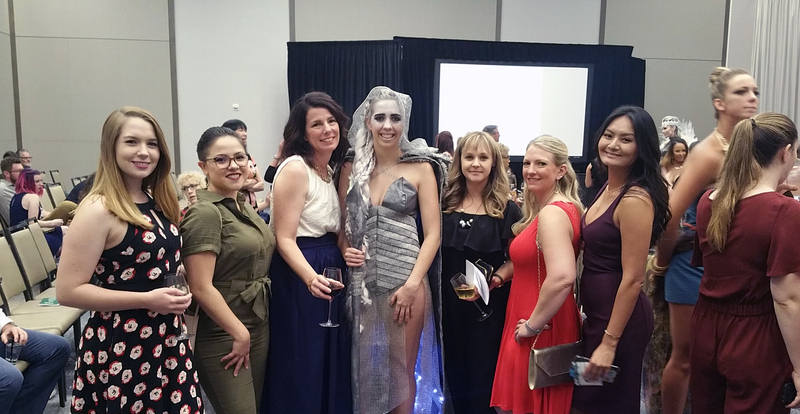 This past weekend, several Lionakis designers were proud to represent the firm in the 8th Annual MERGE event, put on by the Northern California chapter of the International Interior Design Association (IIDA.) 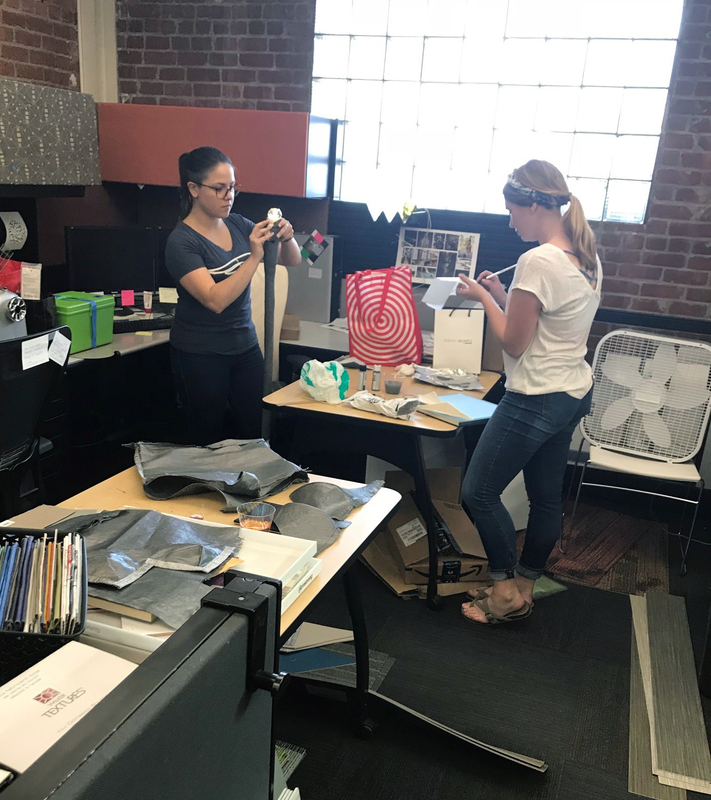 Each year, MERGE participants compete with other design firms in the Sacramento area by using interior finish materials to create a wearable outfit. 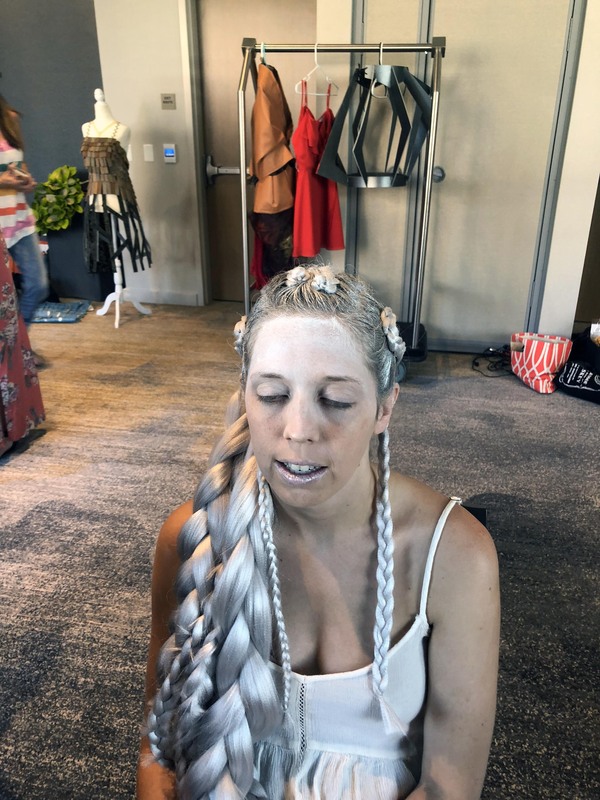 The creations are presented in a runway show format, with hopes of snagging one of 5 awards: Crowd Favorite, Best Model Attitude, Most Wearable, Best Use of Materials, and the highly coveted Best in Show. 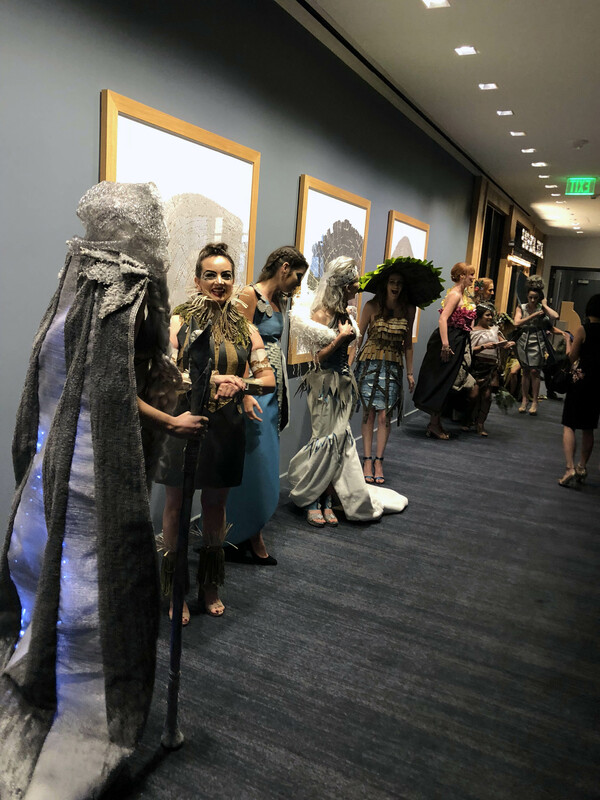 The show is one of the best-attended industry events of the year with proceeds going to award local interior design students. 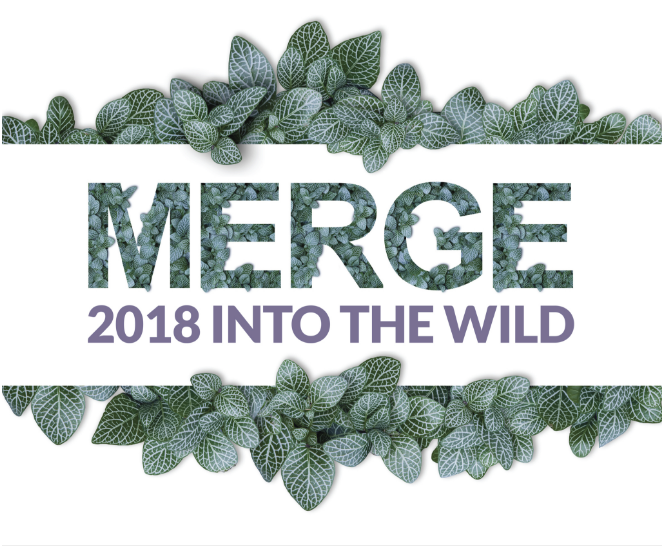 This year’s theme was Into the Wild. 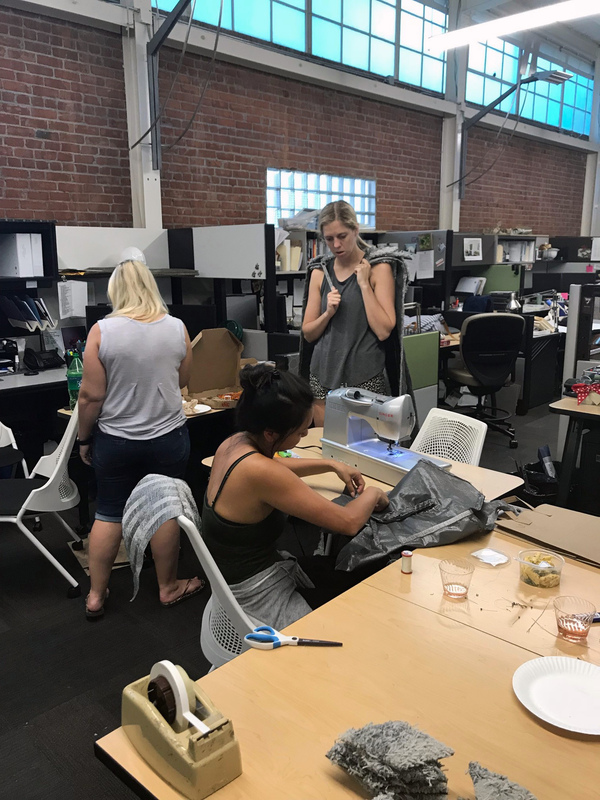 Each team was assigned a different ecosystem from which to draw inspiration. 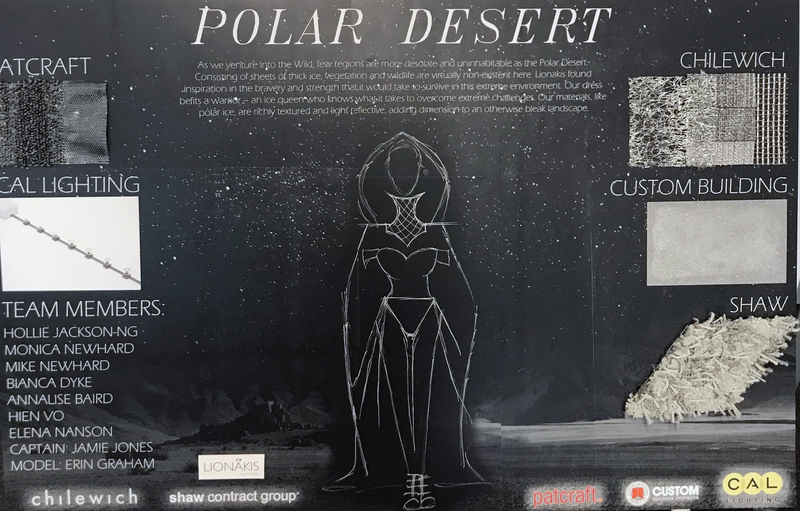 Lionakis received Polar Desert and was partnered with material sponsors Shaw Contract, Chilewich, Cal Lighting, Custom Building Products, and Patcraft to create their look. 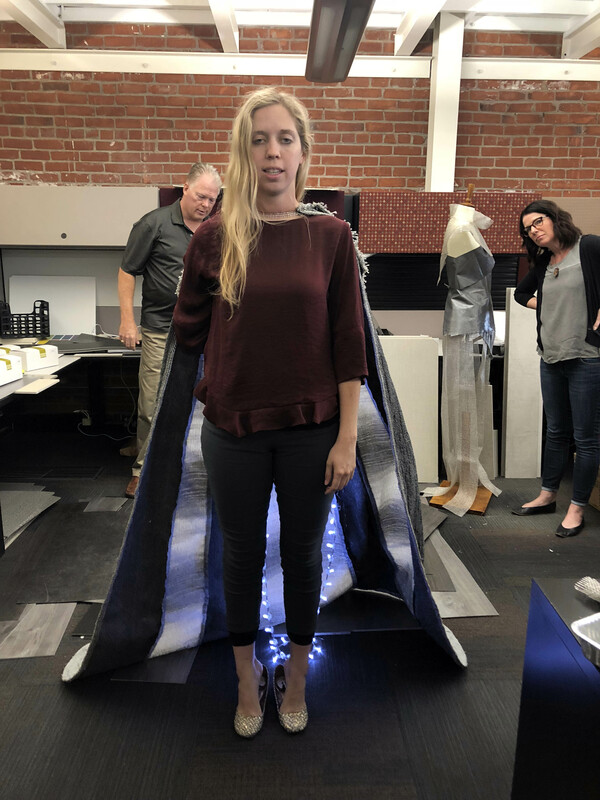 In past MERGE events, teams have had no access to their materials until the day of the show, and designers have had to build the entire garment in four hours – quite the challenge! 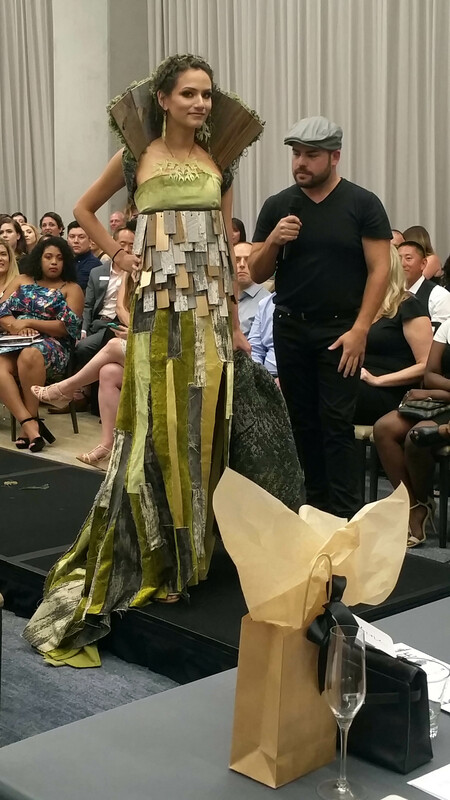 This year, IIDA tried a new format: designers received their materials 6 weeks before the day of show. 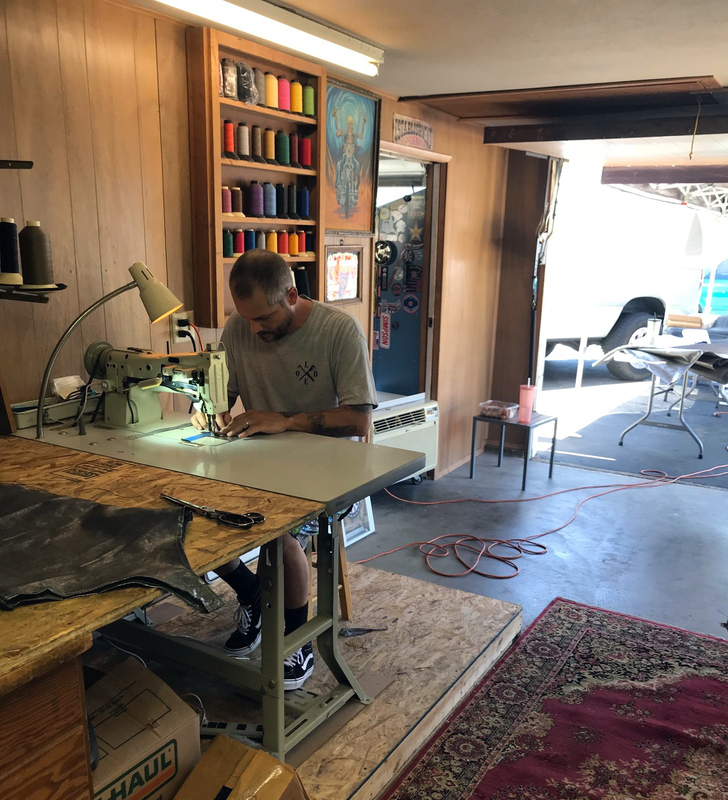 With materials like carpet, plastic laminate, ceramic tile and even grout, the challenge was still there, but this extra time to create opened up opportunities to push the designs farther than ever before, and the results were amazing! 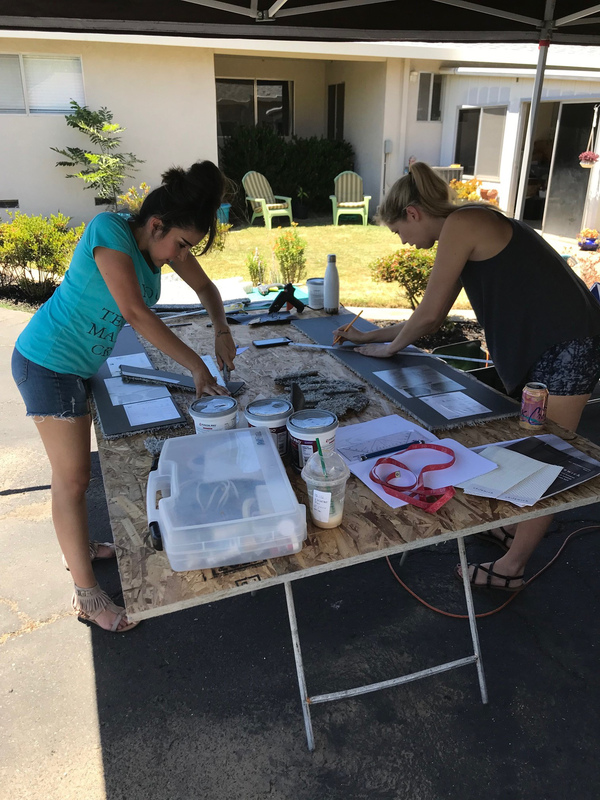 This year’s team consisted of Project Manager Monica Newhard (and her husband Mike), Senior Designers Jamie Jones and Annalise Baird, Project Designers Hien Vo and Hollie Jackson-Ng, Staff Designers Bianca Dyke and Erin Graham and Sustainability Coordinator Elena Nansen. Unfortunately, Team Lionakis did not bring home any awards this year, but fun was had by all and everyone was proud of the finished product. 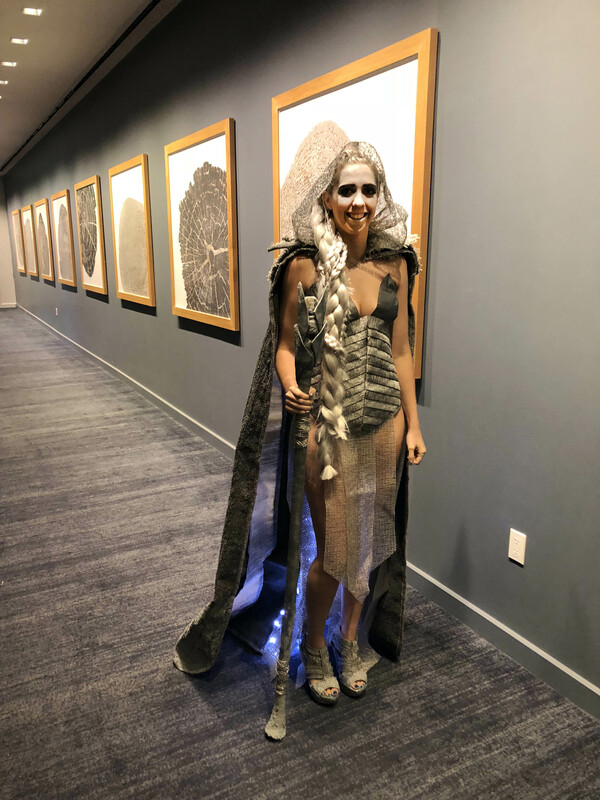 Thank you to all of our sponsors who provided such inspiring materials and a special thanks to our model, Erin Graham, who rocked her role as Ice Queen! Have a look at some local video coverage of the event and enjoy the photo gallery below.